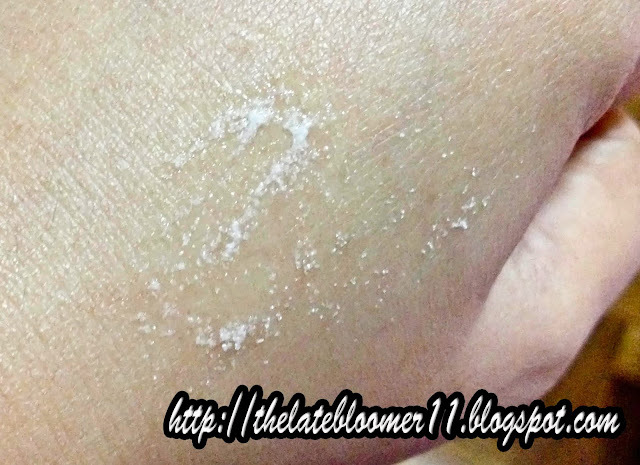 This facial scrub uses the same exfoliating particles as a micro-dermabrasion machine. The formulation is enhanced with glycolic acid and vitamin C, suitable in a skin whitening regime. I am a true believer of the power of exfoliation. I believe that when our skin is properly exfoliated, not only will it look fresh, clean and radiant due to all those eliminated dead skin cells, it will also absorb our moisturizers, serums and whatever skincare products that we apply to our skin. It’s for that reason that I see to it I have an excellent facial scrub by my sink. What I’ve been using for the past two months (if I’m not mistaken) is the Origins Modern Friction Nature's Gentle Dermabrasion and I’m loving it so far – a review is coming up soon! Moving on, it was in the last week of September that my husband and I together with our close friend, Chona travelled to Korea for a 6D5N trip, and it’s freaking awesome, you guys! Anyway! When I was packing our things, I know that I needed to bring a facial scrub with me because we’ll be there for like a week, so it’s important that I have a complete set of my facial thingymagiggies! And that’s where my relationship with La Clinica Gly C Refine Micro Dermabrasion Facial Scrub started. I honestly have a love-hate relationship with this product. Obviously, I first used it when I was there in Korea because like I said, I needed a facial scrub and it’s the only travel-sized one I have – thanks to Bellabox! The first time I tried it on my face, I felt like it’s not meant for the face! It’s suuuupperrrr abrasive, in my opinion. It’s as if I’m rubbing iodized salt on my face and who would like that, right?! But I still continued working it on my face despite how uncomfortable it felt. After rinsing it off with warm water and patting my face dry with a towel, that’s where I noticed that my face felt instantly smoother and wa-wait! My skin instantly looked… almost radiant? W-Wow! That first experience was a total mixture of unexpected discomfort and inexplicable awe. So what makes this product effective? Blame it on the strong presence of glycolic acid and vitamin c. The former is responsible for making the skin visibly soft and promoting balance in the skin’s complexion through exfoliation and unclogging blocked pores. While the latter is a well known anti-oxidant and has the ability to reduce inflammation, restore and invigorate the skin. I seriously like the output after each wash but the washing experience is a little dreadful. Whenever I’m about to use it, I sort of need to condition myself first – telling myself, “you can do it, it’s just gonna be a few minutes...” Isn’t it sad? I want my face routine to be a happy and relaxing activity not a scary one. Unfortunately, this product, despite its efficacy and benefits has made me dread the hour of scrubbing my face and that’s certainly not a good thing. Sigh. The question now is: would I purchase its full size? I don’t think so. I definitely cannot sacrifice experiencing a pleasurable morning & night face routine just for the results this product can give me. I believe that there are a lot of products out there that would deliver the same results without me having to sacrifice a delightful face wash experience. Yes and No. If I’d base it plainly on the results, well, yeah it’s indeed an effective facial scrub that definitely delivers great results. But if you’re gonna ask me about my experience as a whole, then it’s gonna be a NO. I really treasure products that don’t just deliver good results but also make me happy while I use them. 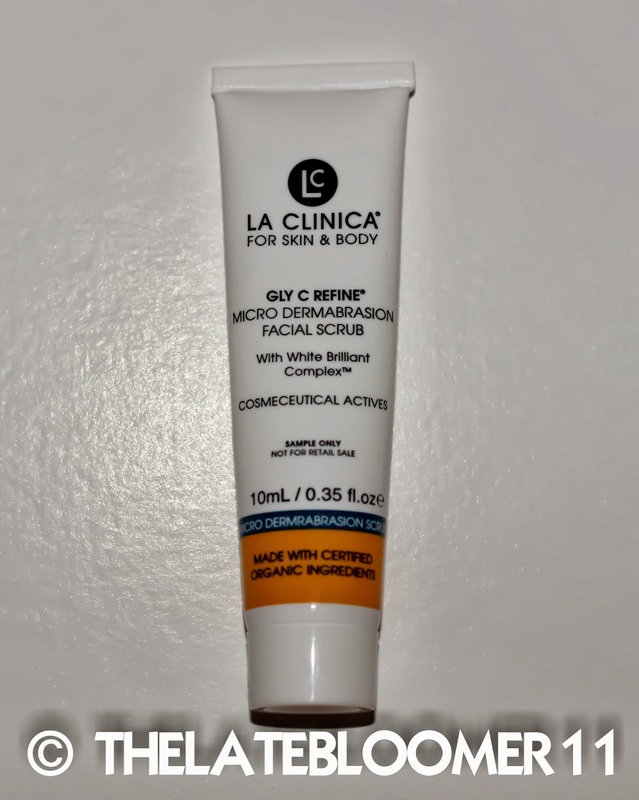 Have you tried this product from La Clinica? How did it work for you? I’d love to hear/read your stories. Im a beauty therapist that work with la clinica daily. You are only supposed to use this exfoliation once a week. Your finger tips are supposed to be very wet when you lighly work on your face. You do not use pressure with this product. If it hurts you are doing it wrong. Trust the product to do what it is supposed to do.